Due to recent development of my character, I have decided to post him and his appearance here, so people know what my character looks like. Character 1: Main Character. Matt (Last name, if any, unknown), Guardian of the Pillars. Half Vizard/Espada. Matt is a man, or better put, creature, who stands at about 6'0, and guards the pillars of the Battleground. He is neutral to the causes of any who enter the battleground unless their business involves the pillars, including trying to destroy them or take them. He is normally very calm and cheerful, always willing to teach people of the pillars and allowing them to train, free of charge. He is usually seen atop what he calls the Horizon Cliff, either resting, communicating with his blade, overlooking the pillars, or out towards the horizon (hence the name). The only time he changes from his normal personality is when someone tries to use the pillars in any other way than their intended use (as stated before as trying to destroy them or take them), or when someone directly attacks him, purposely trying to take his life. In battle, he uses a variety of unconventional tactics to try and out-maneuver his opponent to win. Since he can usually maintain his composure during his battle, he can be hard to defeat and outwit. In battle, if his opponent is defenseless, he will spare their life, not a malicious person by nature. In addition, he is very protective of his Zanpakuto, Daku Migaki's, spirit (Her personality is listed further down). His personality might change if he wears his Vizard mask, but since he has yet to use it in battle, this theory has yet to be proven. Matt is a rare type of creature. He is a half Vizard/Espada (from Bleach for those who might not know). The left half of his body is a black kimono, standard for soul reapers (he prefers this choice because of how it contrasts with the other half of his outfit), while the other half is a a white kimono, standard wear for the Espadas. On the right side of his face, the arrancar mask adorning only the right side of his head looks like a partial covering in the front, covering most of his forehead and the top front half of his head with three large spikes pointing upwards about about an 80 degree angle. The left of his face is completely uncovered, revealing his brown hair and eyes. In the exact middle of his outfit, near his chest, a covering, held up by a rope (looking like a very large amulet, to make it clear what I mean) sits unmoving. This is thought to be where he stores his Vizard mask. He has his original blade, capable of both Shikai and Bankai, in a white sheath, resting in his sash (which is black on the left side, white on the right) on the left side of his body. His second blade, which is capable of Ressurecion, has yet to be seen on the battlefield, but it's thought it would hang on the right side of his sash in the same fashion his original blade does on the left side of his body. Even his footwear has contrasting colors. A simple black boot and sock on the left side, white boot and sock on the right side. Matt has been this strange creature for as long as he can remember. He has no memory of anything that happened before he arrived in his domain. His attempts at recalling anything before that has failed. resulting in heavily blurry images and muffled voices. The earliest memory he can clearly remember is himself waking up atop the horizon cliff, in a cross-legged sitting position, with only a single thought in his head. Instantly, his mind filled with other thoughts, as he soon realized he was created intelligent, but not all-knowing. Later that day, he remembers that two large monsters, their image blurred in his mind, came and attacked the pillars, and before he could even think, he had moved in front of the pillars and fought to defend them. Despite the beasts being several times larger than him, he ended up slaying the invaders with what he believed to be little effort. Over time, he began to realize his own potential when similar circumstances all ended the same way as the first encounter. Although he has always had both swords, he did not know how to access their powers for many years. For the first decade or two of his life, Rematador and Daku Migaki were just nameless swords that were attached to his waist when he woke up. For a long time, he thought the voices he was hearing (which were the blades attempting to communicate with him) were just some kind of mechanism created by his own subconcious as someone to talk to. Over the course of a month after he started hearing the voices, he realized that his blades were the voices talking to him, and he eagerly spoke back. They had conversations that would go on for hours on end. -Matt has been shown to be greatly trained in using Sonido (possibly due to extensive training with the pillars which he guards), to the point where he leaves behind and afterimage which can stay behind for a few seconds before dissipating. It's hard to tell when he is there or when it is just a Sonido Afterimage. -In addition, he knows a great variety of Ceros, the ones known so far being the original (Red. This is one of his favorites and constantly charges it more than its supposed to, as a training method), Gran Rey (light blue/green, requires the blood of the user as a catalyst to use, used in rare instances), Oscuras (Black. Used in one battle a few times.) Some that are rumored that are known him are Cero Oblivion (Purple. Never used. Only change from Oscuras is a wider blast radius) and Espíritu Rompiendo cero (Qualities completely unknown at this time). -He also makes use of the arrancar regeneration ability, although for some reason, it is slow, and, due to the fact that it disables his sonido when active, it is when he is the most vulnerable. -His original blade and it's known abilities, Daku Migaki, can be read about in the "My Zanpakuto" as the first post. -His Ressurecion blade and it's known abilities, Rematador, can be read about in the "My Zanpakuto" near the bottom. -Although Matt rarely blatantly shows his abilities, instances where he will is when he flares his power to form a "power barrier" to stop projectiles from reaching him, or leaving a very realistic afterimage upon using his Sonido. The more powered up he is, the more "solid" his sonido afterimage is. -His full hollow form/Ressurecion was nearly used, but was cancelled out. 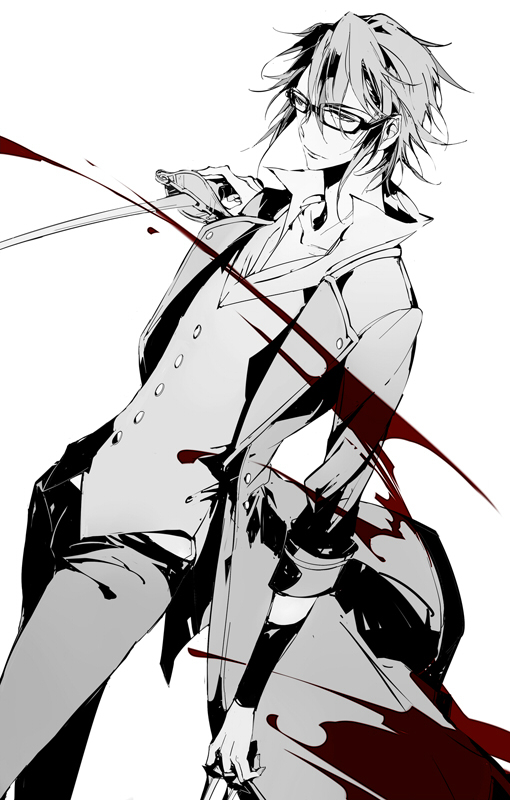 -If he is critically injured, and then allowed to regenerate, he will become stronger. -Before visitors became regular at the battlegrounds, it is currently unknown how many times he has escaped death. However, in the time that there have been visitors in the battlegrounds, he has been able to regenerate while close to death twice. Daku Migaki, or Migaki for short, is the physical manifestation of Matt's Zanpakuto. Strangely enough the spirit is that of a human female. Due to excessive amounts of concentration techniques and training exercises performed by both Matt and Migaki, she is now able to maintain her physical form indefinitely. Her body's toughness is the same as the blade that bears her name. Able to use the abilities that her wielder has used when she has been in her blade form (and even some Matt is unable to use) with an even greater acumen than her wielder, she is more than capable of defending herself. Despite her proving this time and again, Matt is very protective of her, often keeping a close eye on her and being around her, to her (somewhat) displeasure. This over-protectiveness has caused her to rarely, if ever, be seen in her human form, out of concern for her safety. Daku Migaki stands about 5 feet 3 inches tall without her japanese-style sandles (about 5 feet 4 inches - 5 feet 5 inches with them on). Her hair, which is a very fine mix of dark violet and dark brown, is also straight as it goes down to her mid back. She has very deep, yet standout, blue eyes, which seems to strangely compliment her hair nicely. She has the appearance of a young female despite being as old, if not older, than Matt is. Although her precise measurements have never been taken, her bust has an appearance of around 36cc. She normally wears a long, yet thin, dark violet robe which goes down to just above her ankles. She has a slender figure, which is implied due to the robe not being very thick or too wide. Normally, she keeps her hands unseen beneath her long robe sleeves, which meet at her waist as she normally holds her hands together in front of her as she walks. Daku Migaki shares some personality traits with that of her wielder, but stands out in other ways as well. She is a very trusting individual (far more then Matt), not one to usually have thoughts of deception about the other person, and does her best to be very polite to strangers. She is very optimistic (which is where Matt got it from), and tends to be cheerful in most situations. She loves to observe her surroundings and bask in the tranquility the Battlegrounds tends to offer. She is one who prefers peace over conflict, and tends not to be aggressive unless there is no other way. She is slightly annoyed by the level of protection her wielder gives her, feeling as though it offsets the person she tries to communicate with or that she can't handle herself despite countless demonstrations where she has shown she can. She obviously shares a strong connection to Matt. She is known to be affectionate towards Matt, knowing that it's one of the few things that can break that blank stare he usually has. She has genuine affection for him, however, and it's been hinted at that they may have shared many an intimate moment awhile back. She shares a very strong friendship with Rematador, both of them saving one another in times past. Her naturally friendly spirit helped to start a friendship and alliance between them, that grew as years past, eventually earning Rematadors respect and trust. Daku Migaki shares all of the abilities that have been used in her blade form previously, and can be used with much greater skill. It's hinted at that she knows a few tricks that Matt seems unable to use, but this has not been confirmed as of yet. She does not possess the Sonido ability, but she makes up for that by being able to transform herself completely into dark light, thus allowing her to move (virtually) instantaneously. She shares Matt's ability to sense using spiritual pressure, and she can effortlessly communicate telepathically with Matt. In addition, she can revert to her blade form at will (but she cannot morph herself into her (physical) human form on her own). Character 3: Rematador - Physical manifestation of Ressurecion. Rematador is the physical manifestation of Matt's Ressurecion blade. Taking on the form of an exceedingly large bull, approximately two and a half times the size of a fully adult male bull, Rematador is able to stay in his bull form indefinitely just as Daku Migaki can. Unlike Migaki, however, Rematador takes on a more bloodthirsty aspect of things. Each of his limbs taking on not only a different element, but a different style of battle. Able to use each element effectively, in his bull form, Rematador is far tougher than he is in his blade form. Rematador takes on the form of a large bull, but strangely enough, his skin is completely white. He is one of few words, rarely saying more than a few to those who have not earned his trust. Each of his legs are engulfed in elements he has access to, along with four tails at the end of his body. The four tails seem to serve some purpose, but it hasn't been figured out what lately. For Rematador, each limb represents a different battle style that he utilizes. His front right leg, engulfed in fire, represents a furious head on assault, taking no prisoners and letting nothing stand in his way. His front left lag, surrounded by a water, the overwhelming force and smooth fluid movement of the ocean. His back right leg, a combination of wind and lighting, representing devastating yet accurate shots that combine to create a finely balanced combination of power and precision. His back left leg, made of earth and metal, representing wearing down his enemy while still standing strong, and using the opponents on strength against them. His eyes normally fully black, turn bright red when about to engage in battle. His hooves are also black and are very heavy in addition to the rest of him. When he charges, the earth often shakes beneath his feet. The two horns atop his head, each about a foot and a half in length and pointing forward instead of to the side, are occasionally used to channel the energy, and like his hooves, they too are black, but seem to have something of a sheen to them. Rematador is the one who gives Matt his (often unseen) thrill for combat, being one who loves fighting and bloodshed. Not very trusting of many who enter the Matt's domain that has even a slight amount of detectable power, Rematador would prefer to cripple and destroy the enemy first, and then get the information he's looking for. If his opponent would refuse, he would inflict more pain until they talked. If they refused to talk, rather than let them go, he would impale them through either the skull or the heart to kill them on one of his horns. He's one of few words, preferring to let his actions speak for him. Matt and Migaki are the only two he trusts fully at this point, not even fully trusting of Ami or Kuro. Despite being total warmonger, he is not without emotions. As with Migaki, should his wielder be injured or in danger of death, he will defend him, not just because he is Rematador's wielder, and Matt's death would mean his own, but also because he chooses his friends very carefully, and goes out of his way to protect those he deems worthy of his trust. Loving the thrill of gore and combat, Rematador takes pleasure in inflicting as much pain in the most gruesome and bloody way possible. This kind of attitude is rarely seen when Matt fights when using his Zanpakuto, but is more than evident if Rematador is his blade of choice. In battle, he puts all emotions to the side, making battle the only thing that matters to him. Should Rematador be seen on the field, one needs to stay on their toes and keep on the move. The slightest opening that an opponent gives will mean death for them against him. He shares a strong friendship with Matt, the two of them often having tests of strength and sparring many years ago. This was the way they satiated they kept themselves occupied before stronger opponents began showing up. However, soon the battles got so destructive, they mutually decided to put a stop to them awhile ago. He is also very trusting of Migaki, having both defended her in years past, and also having been rescued by her a few times as well. They have been known to have conversations a few times in times of longstanding peace in the battlegrounds, further strengthening their friendship. Zachariah is very cheerful, but he tends to keep up a quiet aura about him when he meets new people, preferably new shinigami that enter his squad. He likes to hone his skills and gets along with his zanpakuto, Raitoningu. When he's not training, he prefers to annoy his lieutenant, sleeping, or reading a book. Not very interesting is he? Ami is a fierce, battle-ready woman who stands about 170 centimeters tall. Though being a Guardian, she is mainly hostile but can be friendly. Though she is a friend and fellow Guardian to Matt, she often competes with him. She is mainly found on a tree near the Pillars, though is sometimes up on the cliff with Matt. 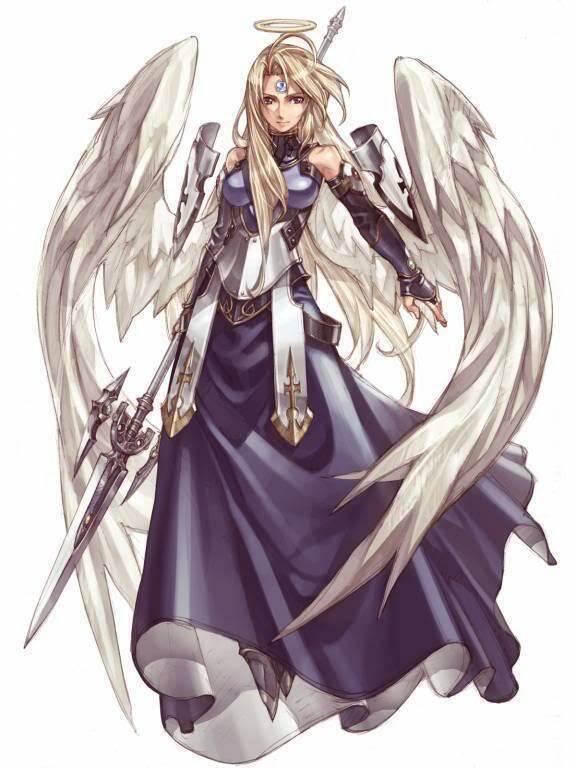 Outside of battle she seems foolish and weak, but she constantly uses her abilities to quickly defeat her opponents. She is able to quickly learn her enemies moves, able to counter them after they use it several times. She can be a formidable opponent if you waste your time with her. -Ami's abilities closely resemble Matt's. She is able to use Sonido just as well as him as long as she is wearing her Vizard mask. -Ami's special Cero can only be released when she is in her Bankai form and wearing her Vizard mask. She has named the Cero, Kurai Sen(Dark Ray, so the beam is black). It completely surrounds her body to be used as a defensive Cero. It is able to stop all Cero's except for a few. The Cero can also be used as I means of assault when Ami is close to her enemy. -Ami's Vizard mask closely resembles Shinji's mask, shown here. -Saigo no fussahru is Ami's most risky creation. She created the move to enable her to force away both her and her enemies spiritual energy, leaving only one-tenth of her and her opponent's spiritual energy left in both bodies. This creation takes intense concentration and can only be done if Ami has hold of the user's body. The creation does not use any spiritual energy except the energies being released from the bodies. Using this technique leaves both bodies completely vulnerable to attack and unable to move. -Ami has achieved knowledge of her hollow form due to unknown events. In her hollow form her physical appearance changes. Her mask will break and her armor will fall off. White hollow skin covers almost her entire body, her neck and head remain uncovered. During her hollow form she keeps her eyes closed and uses sight through spiritual vision. She can see while blindfolded in a sense. She uses spiritual energy and heat to find her enemies. Her abilites are highly above that of Matt's, with his Bankai, not his Vizard Mask and Ressurecion form, when she is in this form. Her speed almost unmatched by light and her strength of more than any other superhuman. Her Ceros become supercharged as though instantly charged in seconds. Her hands are formed into claws like finely cut diamond blades. She can cut through enemies with ease. When Ami opens her eyes, dark, void-like hollow eyes send images of horrible visions into the person to break their spirit. Her hollow form manifests into almost an ultimate fighting machine, though she is unable to control when she takes on this form. Her few weaknesses in this form are easily noticable. Unlike most hollows, she is deprived of instant regeneration. She can only regenerate in her hollow form over a long period of time. She is also uncapable of using her Zanpakuto or any weapon. When she recieves an open cut upon her hollow skin, her spiritual energy slowly begins to leak from her body. This is a major weakness to her and can mean an end to means of battle for her if she is caught and hit. It is still only on rare occasion this form manifests itself. 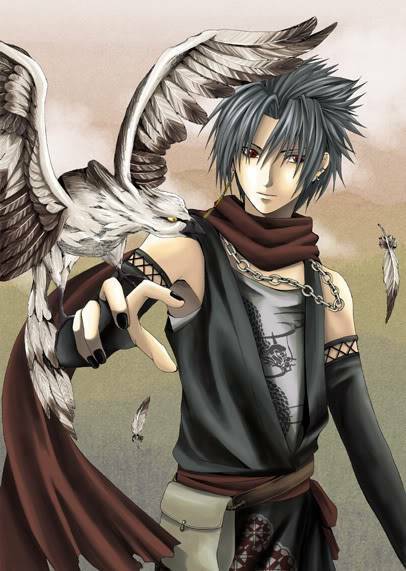 Silver, though very angelic looking, is a quiet and untrusting person. She only communicates with Matt, Migaki, or Ami unless she decides to boss around others. She will give orders to others if she finds herself a superior stratigest to the others. Silver is completely loyal to her mistress, Ami. She will be quick to protect her and save her. Silver always looks to Ami for advice in situations. She finds Ami a great companion, as Ami does for her. Silver still has her caring and warm moments even though she seems cold and ruthless to many. Silver is able to use all of her abilities she has in her normal blade form. She is able to control them with ease and uses them at a stronger power than Ami. She has control of other abilities that Ami cannot use. Silver is able to communicate with Ami, though she rarely does. She is unable to Sonido but can move at great speeds. She can appear in areas of different varriants with ease. She is able to put herself back into her blade form and freely manifests into her human form with Ami's permission. Important stuff for those with no time. Dance of blades: Uses his claws to send flying blades through the air. Invoking the wind scar around his blade. Soul Reap: If the blow kills, the soul is harvested. Soul Lash: Seven lashes burst out and kill or severely damage anything in its path. To do so the sword must cut the Wind Scar. Soul Drain: Drains the souls energy to heal faster, gain strength, agility, or endurance. Melody Whiterose, when she was alive, was someone who was usually seen reading or writing by herself, or telling many a story to her friends. She was one who loved to express herself through words, and as such, had a large vocabulary. Her friends enjoyed listening to her tell stories that she had written, and she enjoyed telling them. Despite the many "books" she wrote and published, she never collected a cent on them, believing that the money would better go to those who were in orphanages, and thus, all the proceeds were donated. She had a deep passion for many of the arts in her lifetime, and tried to pass that passion onto her adopted son, who seemed to pick up on it after only a few short years due to Melody's patience. She adopted the boy who would be her son at the young age of 18, having earned a large inheritance from her mother when she had passed away. Melody adopted because she herself was adopted, and realizing how happy her adopted mother made her, she wanted to pass such a joy onto another soul. For many years, life continued on very happily for both Melody and her son. It was December, nearly 8 years since Melody had adopted her son. She had just driven her son to school that day, and dropped him off after handing him his backpack and lunch, to her sons (slight) embarrassment. Snow was falling lightly upon the ground after heavy snowfall the evening beforehand, and the sky was a cloud overcast. with a slight breeze blowing. She was driving home along her normal route home. She had taken it several times before. Thick trees as far back as the eye could see lay on either side of the two lane road. She came to a curve on the road, and felt herself skidding a little. She had been through this route several times before, and reacted as she normally did by slowing down as she entered the curve. Unfortunately, coming from the opposite direction, unseen by Melody until it was far too late, was a speeding Semi that was going too fast for its brakes to stop in time, and the massive truck slammed into Melody's car before she could even unfasten her seatbelt. She survived the crash by some miracle, but sustained massive injuries to her entire body. The injuries were too severe for her to make a recovery, and she died of massive bone fractures and internal bleeding. She died in the hospital, giving her son one last hug, her last words being "Do not hold the world responsible.". A time amount unknown to Melody (it was about 20 earth minutes) passed before she found herself inside the Rukon district, far from the Seireitei inside the soul society, where she began to make a new life for herself as a soul. She had asked to know if her son was alright, since she did not know how much time had passed since she had died. She found out that, for the time being, she would be unable to do so, which only mildly saddened her, since the last she knew of, her son was alright. With that in mind, she began making her life in the Soul Society, making the best of her situation as she always had. She awoke one morning inside her home to find a sheathed Zanpakuto leaning against her nightstand. She rubbed her eyes, somewhat in disbelief. Her home had no signs of someone entering, yet there the blade sat. She put the blade on her lap, and felt a surge of emotion and energy race through every last piece of her being. It was unlike anything she had ever felt before. From that day forth, Melody devoted her time to this blade, figuring out its secrets, and how to use it, carrying out her pursuit of knowledge in secret, although she did carry the blade around with her. Through much communication with her Zanpakuto, she found that she had quite a massive store of spiritual pressure, especially for a human that could not see spirits while alive. This made her curious. From what she had felt, the souls around her in the Soul Society did not have the level of Spiritual Pressure she did, yet the Soul Society had never contacted her. This seemed strange since her conversations with the local people lead her to believe that the Soul Society recruited those with abnormally high Spiritual Pressure levels. Despite this, however, she continued with her training in a vastly unused forest section of the Rukon district. Time seemed to fly as Melody lived out a peaceful life of training and meditation in the Soul Society, making many friends, and continuing her training. A few of the villagers even came to watch a few of her training sessions, which was enjoyable for everyone involved. As time progressed, so did her abilities and acumen with her Zanpakuto. In just a few months, she had unlocked the first level of release of her Zanpakuto. Reaching the next level of release, would prove to be a different matter entirely. It had been just over 11 years since she came to the Soul Society. Even to that day, the Soul Society had never approached her, which no longer bothered her. In the time since Melody arrived, she had made many friends with a number of connections around the Rukon district. After many months of planning and carefully coordinating with some of the more connected townsfolk, she had found a way to exit the Rukon district and hopefully a way to enter the world of the living, so she could see her son once more. Although they were not certain it would take her to the world of the living, they did know it would get her close if not there. She gripped the hilt of her Zanpakuto tightly, and stepped into the small senkaimon, ready to face whatever lay on the other side. Melody is a curious and rather friendly person by nature. She seeks to learn all she can about her surroundings and the people in them. When not in combat, she tends to be a calm person, trying to keep the situation calm. She is very inquisitive, but not to the point of annoying those she talks to. This ability has helped her to gauge the emotions of people around her, allowing her to act in the most beneficial manner. In battle, she is cold and calculating, and spares her opponents about as often as she kills them. Her fighting style is all her own, since she trained herself instead of being trained in the Soul Society. She is careful as to what she reveals about herself, but doesn't let that get in the way of trying to befriend every person she meets. Melody stands at about 5 feet 5 inches tall and has pure white hair that runs down most of her back with a thin sky blue stripe going vertically through her hair a few inches to the left of the center of her hair. The reason for her hair being this color is known only to her. Her eyes seem to either be black or a very dark brown. As with her hair, the reason for her eyes being this color is also a secret she keeps to herself. She has caucasian skin that is very slightly tanned, and a faded scar on her right arm that most likely got there from one of her training sessions. She has long since abandoned her shinigami uniform, instead crafting an outfit that is all her own. She wears a thick violet dress that goes down to her ankles, and wears a lighter violet scarf around her neck. Around her arms are two thick, gray metal bracelets. -Melody has a quickmove (like Shunpo, Sonido, etc.) that is her own style. Many years of putting heavy practice into this technique has made it all but silent. -Being one who trained her lower body more often than her upper body, Melody has a very quick running speed and a very good jumping ability. As a tradeoff for this, her upper body is less strong than it could be. -Having "unlocked" the first release level for several years now, she is a master of her Shikai. Due to the fact that she did not learn any of the spiritual energy moves such as Bakudo or Hado, she is able to put more energy into the Shikai, strengthening it further. Subject: Re: Character of the Battlegrounds.